Brady Seal is a family-owned company that contracts with homebuilders to seal stone and grout in their new homes. We have been in business since 1992, and seal approximately 4,000 homes per year. Sealing protects stone and grout from staining. We strive to always use the best product like impregnating sealers that provides protection against water and oil-born materials that will stain stone. Sealing also protects sand-based and latex grout so that stains do not penetrate, nor will mildew form. This allows stone and grout to remain in their originally installed condition. 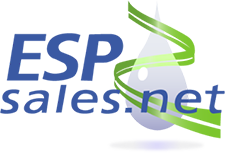 Under normal use, the sealing properties are effective for eight to ten years. A unique cleaning formulation designed to clean without leaving water spots. It contains our advanced fluoropolymer protectant. It’s pH neutral formula is safe for any natural stone surface. 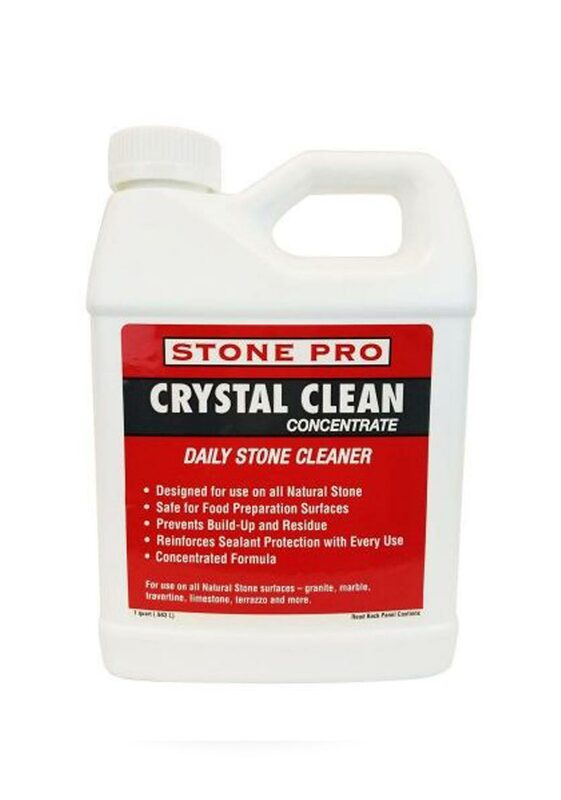 Crystal Clean is a rinse-less cleaner that evaporates quickly and will not streak or leave water spots. Terrific evaporative action. 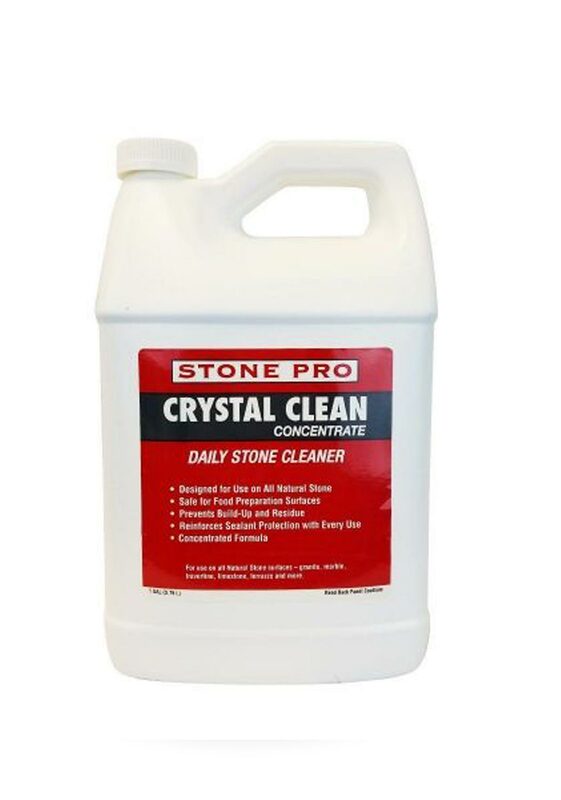 Best for polished stone. Leaves no streaking. 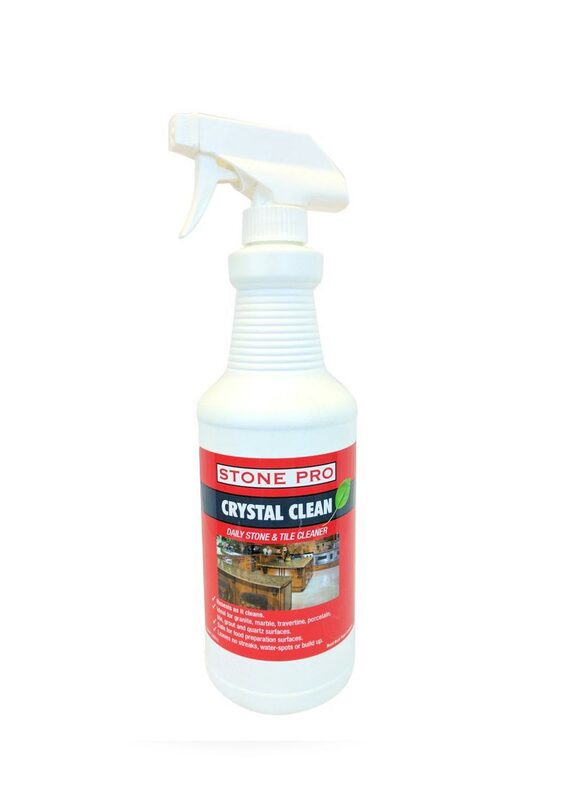 This product works great on: Stone surfaces, stainless steel, windows, mirrors and any hard surface. 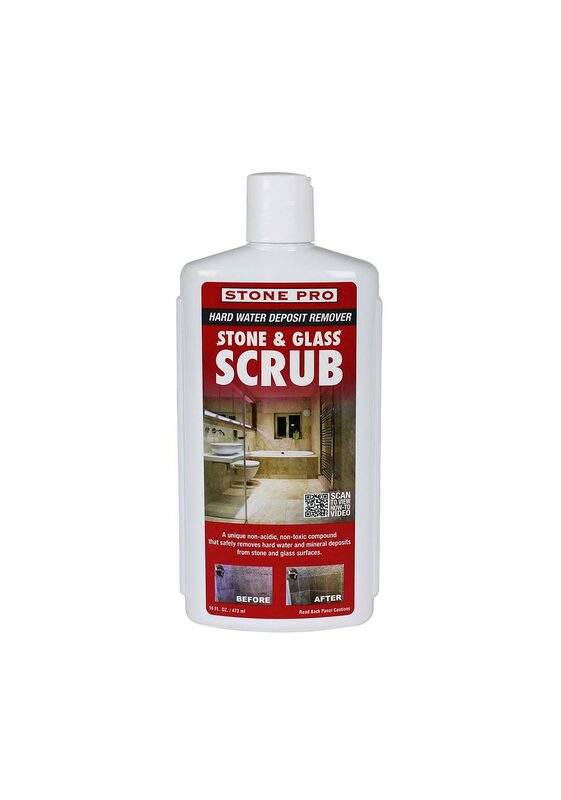 Stone Scrub is a unique non-acidic, non toxic compound that safely removes hard water and mineral deposits from stone and glass surfaces. 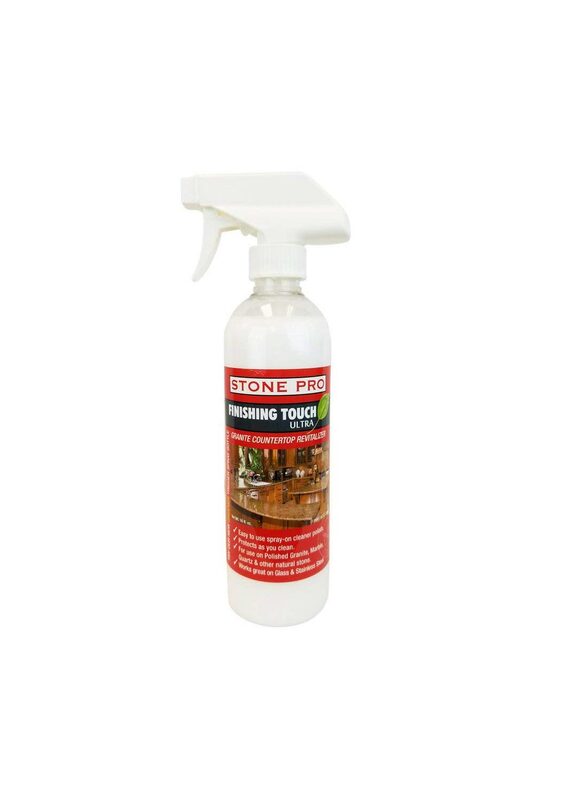 Stone Scrub combines organic cleaning agents and a very soft abrasive to gently remover hard water deposits, soap scum and grime from polished stone and glass without harming or scratching the surface. 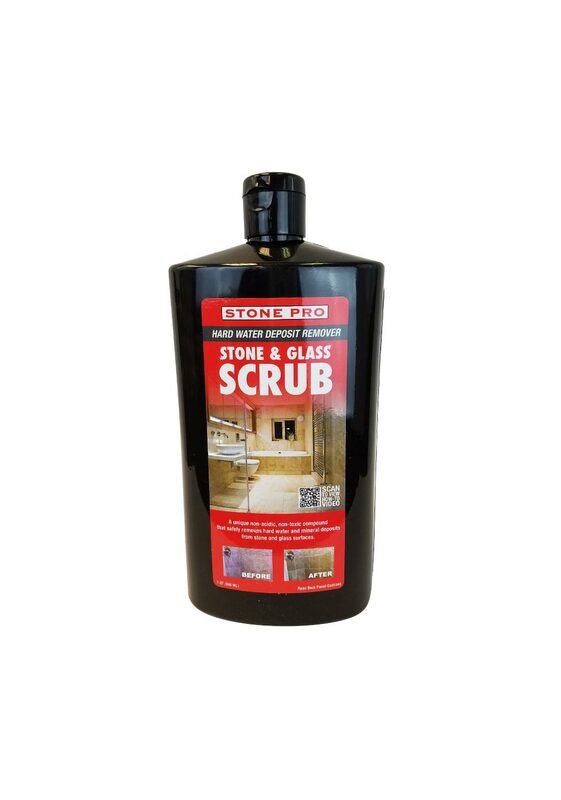 Excellent for granite countertops, travertine showers, glass shower doors and glass shower enclosures. Will not harm faucets, fixtures or metal framing. Non-toxic and enviromentally friendly. Free of any scents, perfumes or dyes. Can be used by hand or with a low speed buffing machine. For a thorough tutorial on how to use Stone Scrub, watch our “how-to” video. 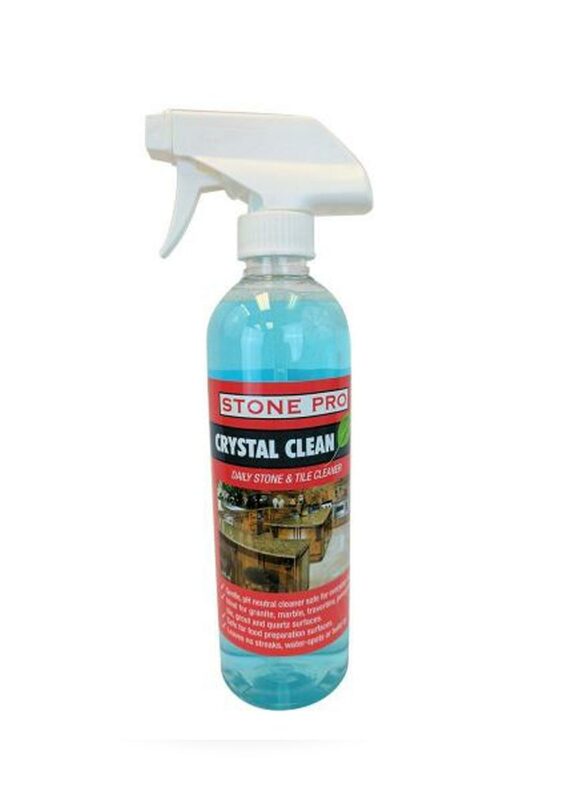 A 3 in 1 product to clean, polish and protect granite and quartz countertops. Enhances the natural beauty and shine. Also try on your stainless steel appliances. 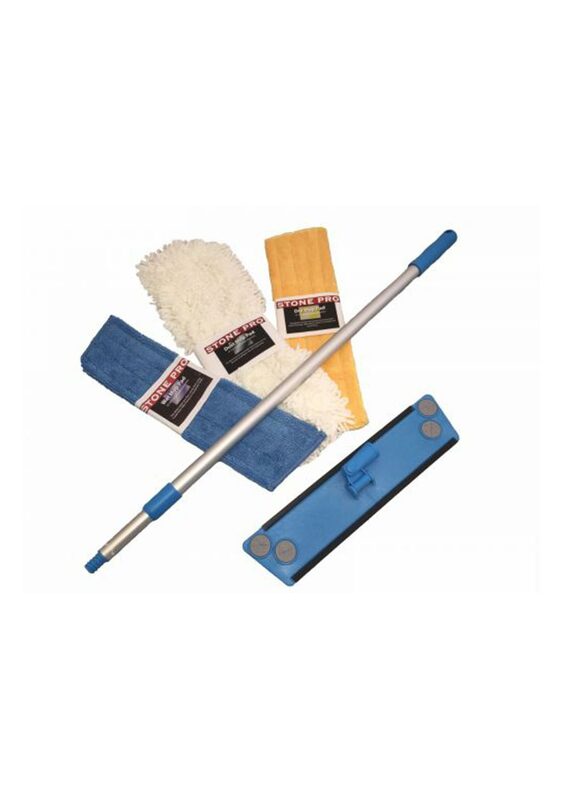 Telescoping swivel mop handle with velcro bottom. Fits 18” mop pads.Screw in swivel attachment on frame provides optimal hold. Handle is adjustable from 38″ to 64″ in length.